This book captured my attention because of its title. It was slightly different than I expected, but all in a good way. It’s about the science and history of science in a different way than you’d read in a usual history book or science textbook. All because it’s showing a different side of it. Mostly you only get the successes in an orderly fashion and usually not even in the original form but some kind of concentrate by some other scientist. This book however let’s you see that scientists are actually quite normal people, they work hard to get somewhere and they don’t always reach where they intended to go. There are several short essays describing one or other theory or discovery in physics or astronomy – for example how Isaac Newton came up with the seven colours of the rainbow – that was really interesting. 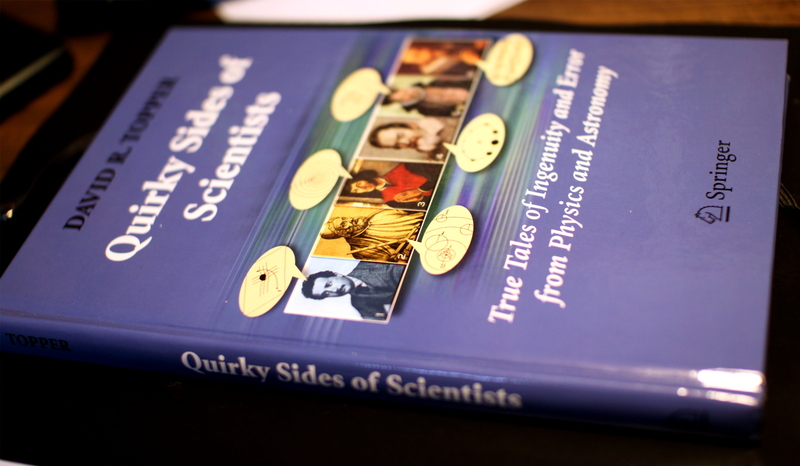 To put it simply – if you’ve ever come across some physics textbook that happens to have these extra reading parts about the history of some experiment or it’s background, then this whole book is like that extra reading – a bit more challenging, but awesome! This entry was posted in history of science, Non-fiction and tagged David R. Topper, Quirky Sides of Scientists. Bookmark the permalink.